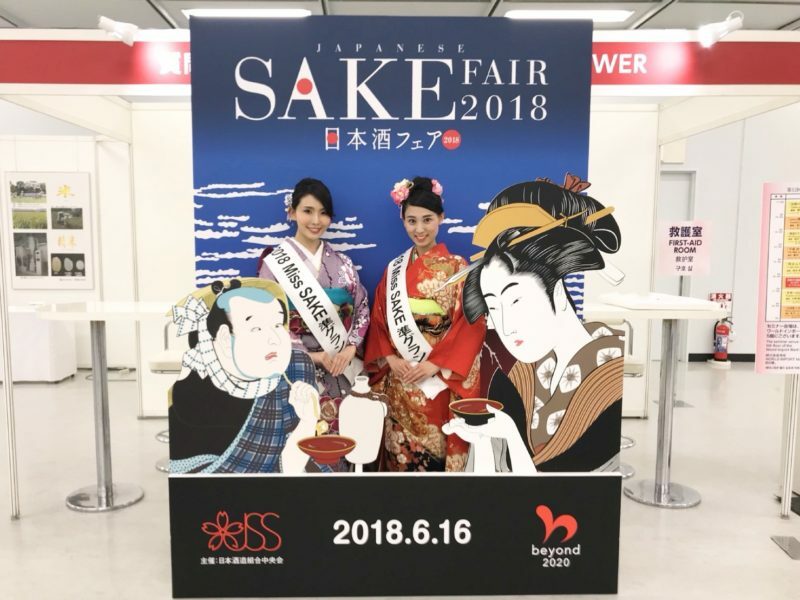 1 Masayo Horii, 2018 Miss Sake runner up participated in “Sake Fair 2018” held in Ikebukuro Sunshine City with Miss Aya Amelia Kodama 2018 Miss Sake runner up. 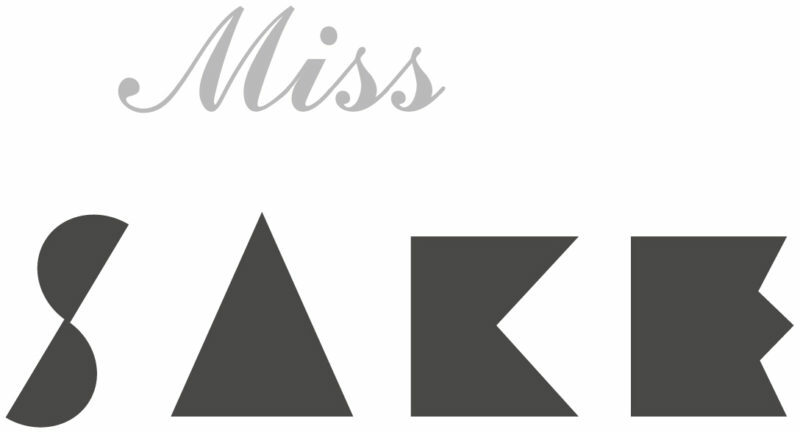 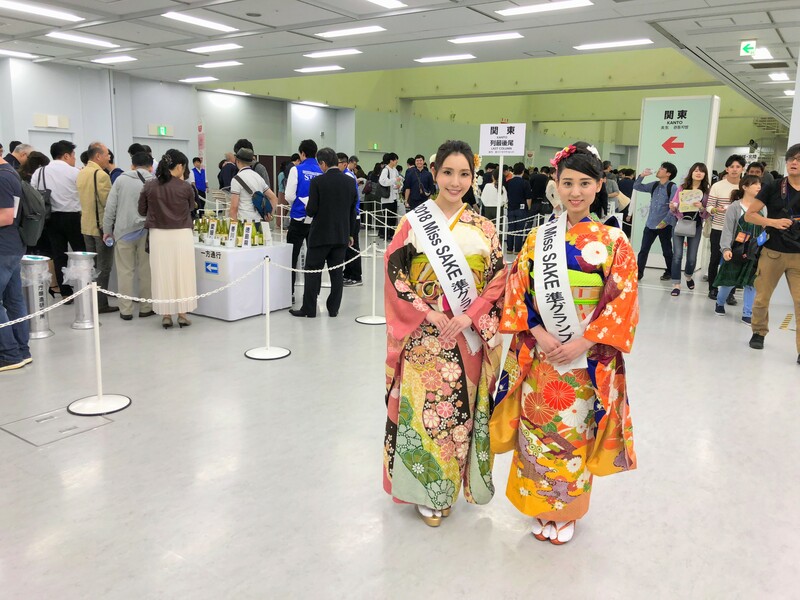 Masayo Horii, 2018 Miss Sake runner up participated in “Sake Fair 2018” held in Ikebukuro Sunshine City with Miss Aya Amelia Kodama 2018 Miss Sake runner up. 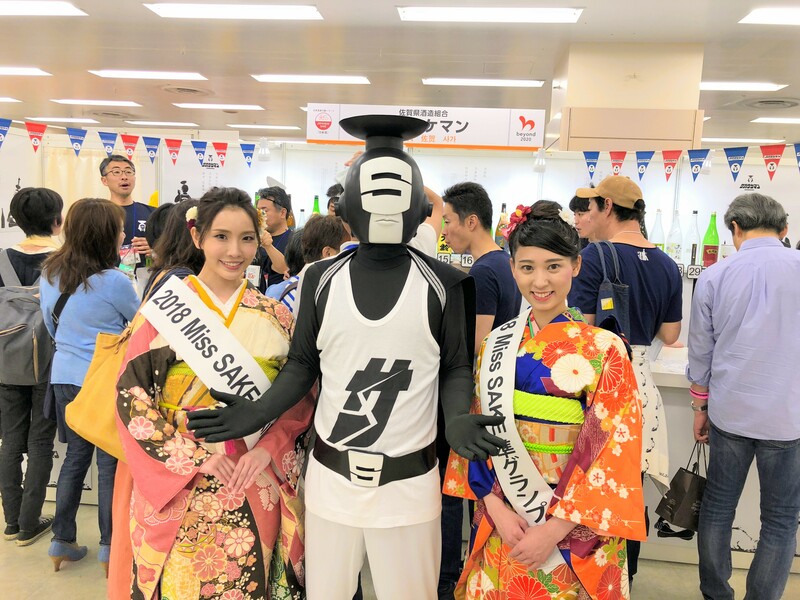 On June 16th, I participated in “Sake Fair 2018” held in Ikebukuro Sunshine City with Miss Aya Amelia Kodama 2018 Miss Sake runner up. And we also attended the pre-event “SAKE NIGHT 2018 from ALL Over Japan” held the previous day. 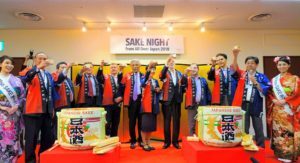 “Sake Fair 2018″is one of the biggest sake events in the world and this day is said to be “The day on which the largest number of brands of sake in the world are collected”. 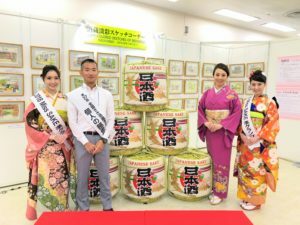 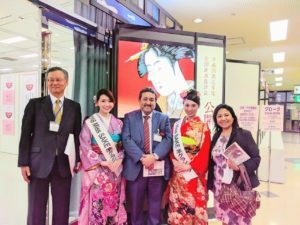 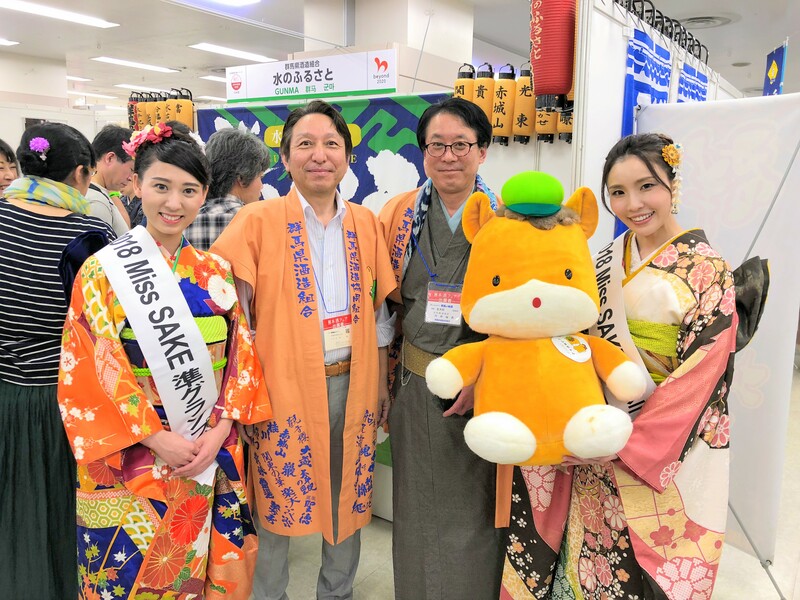 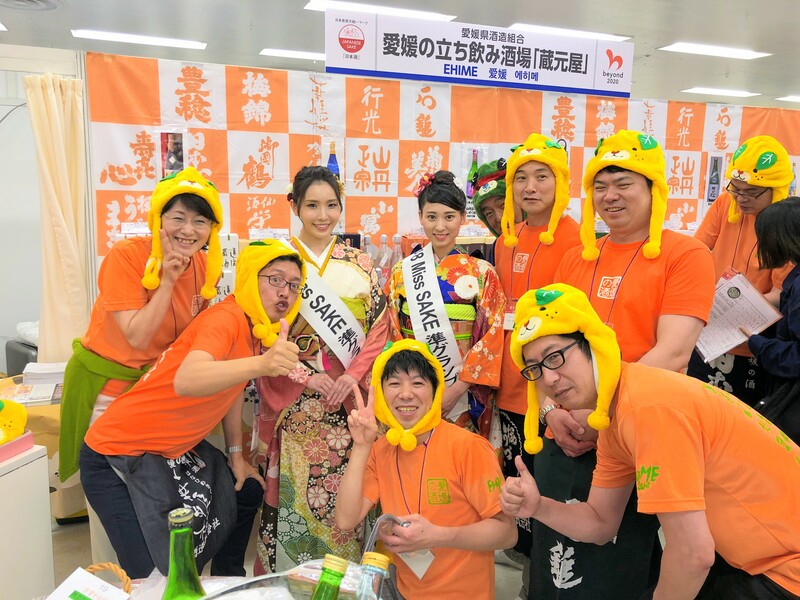 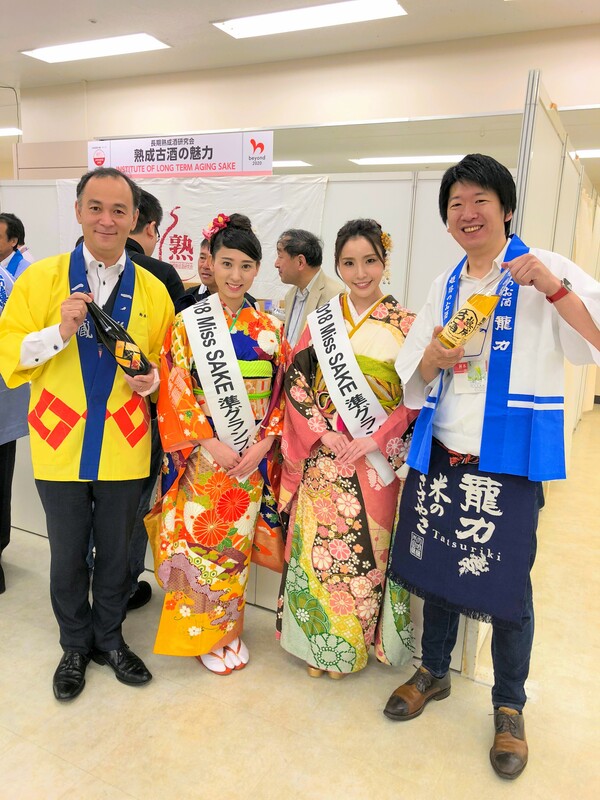 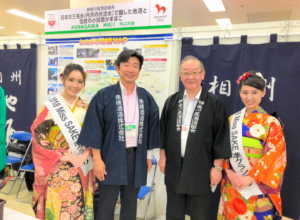 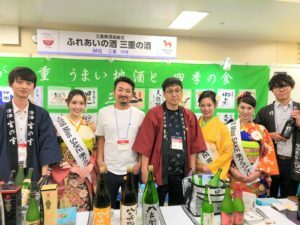 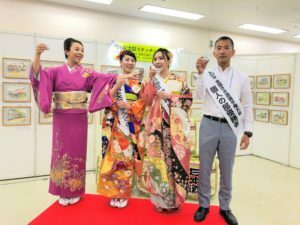 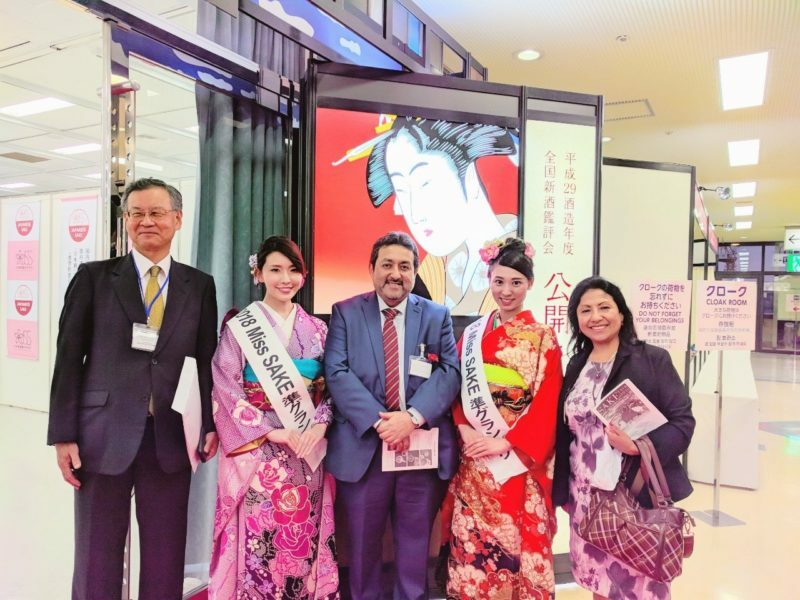 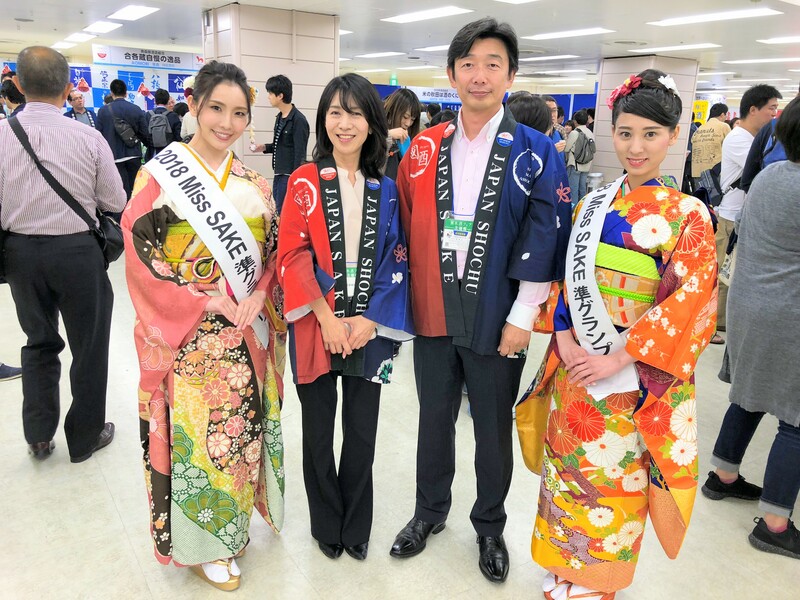 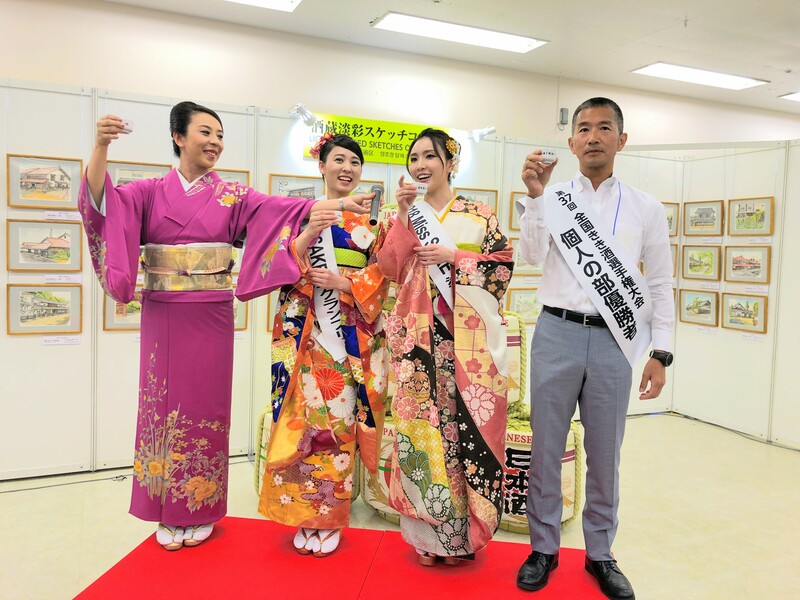 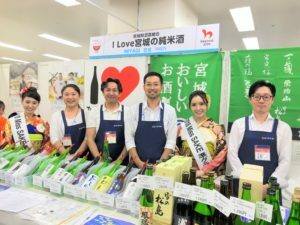 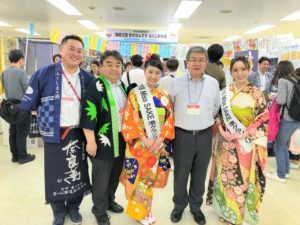 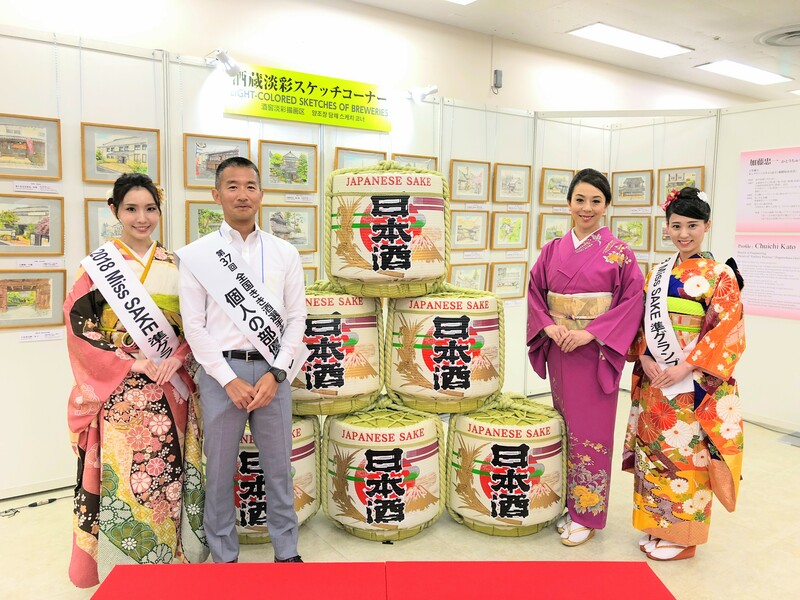 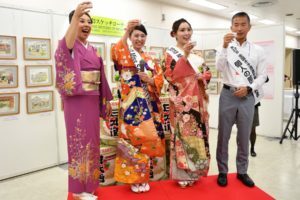 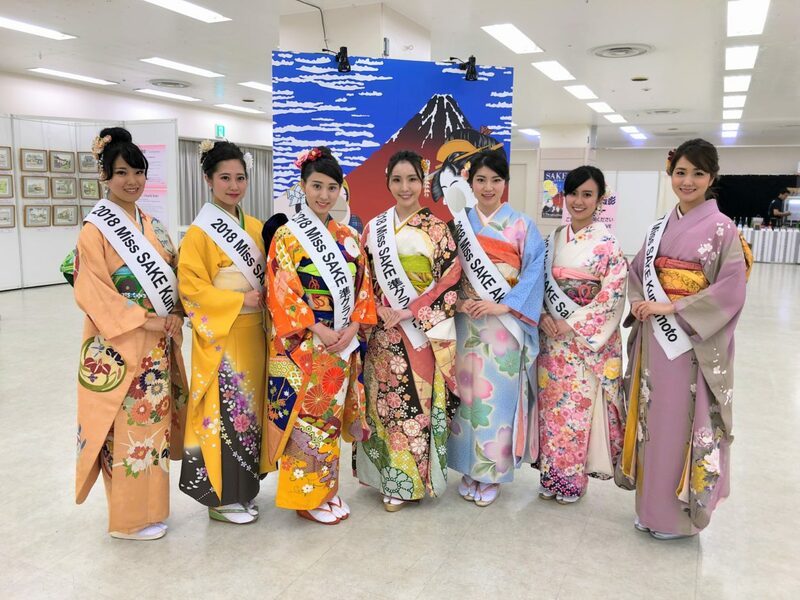 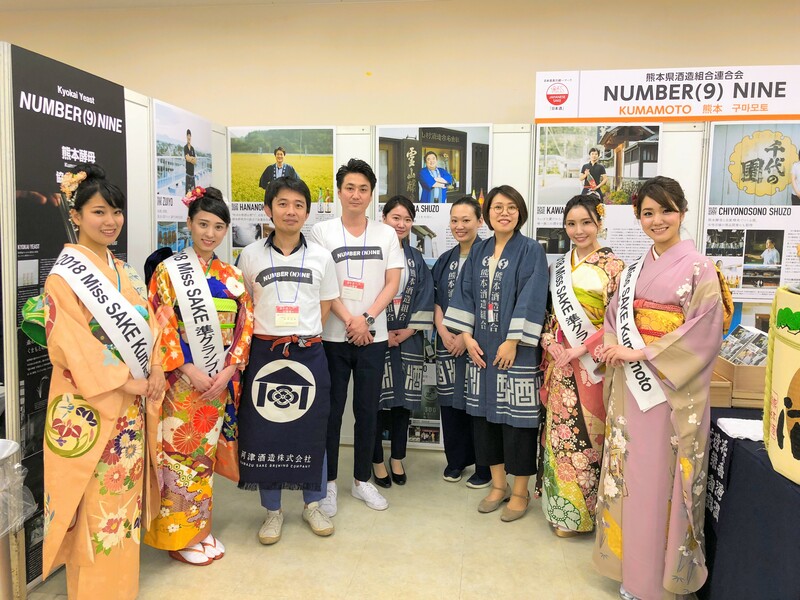 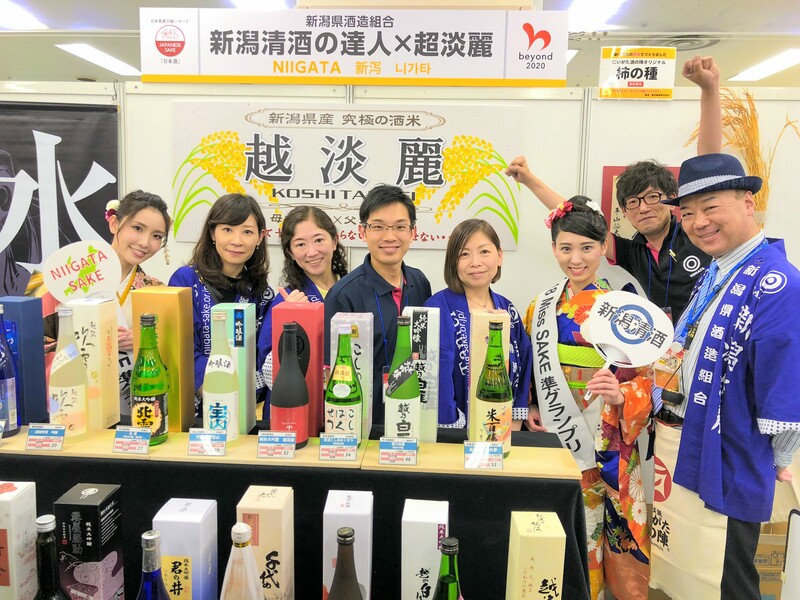 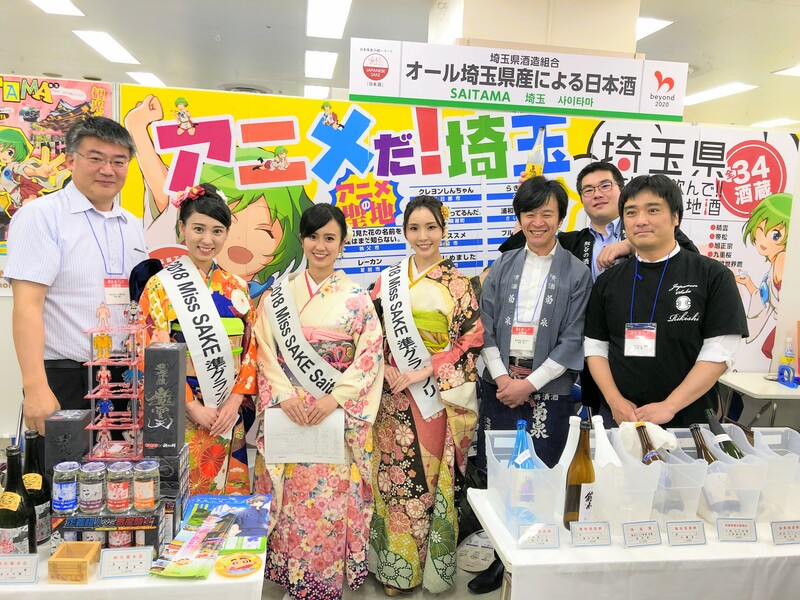 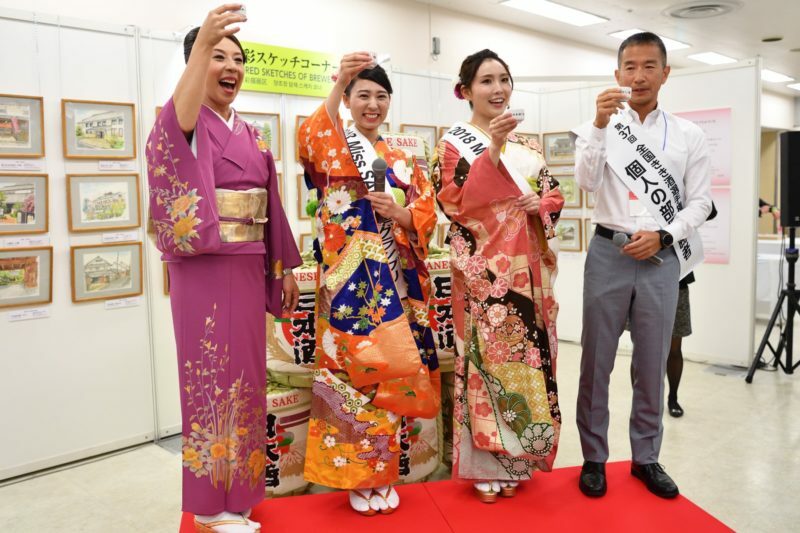 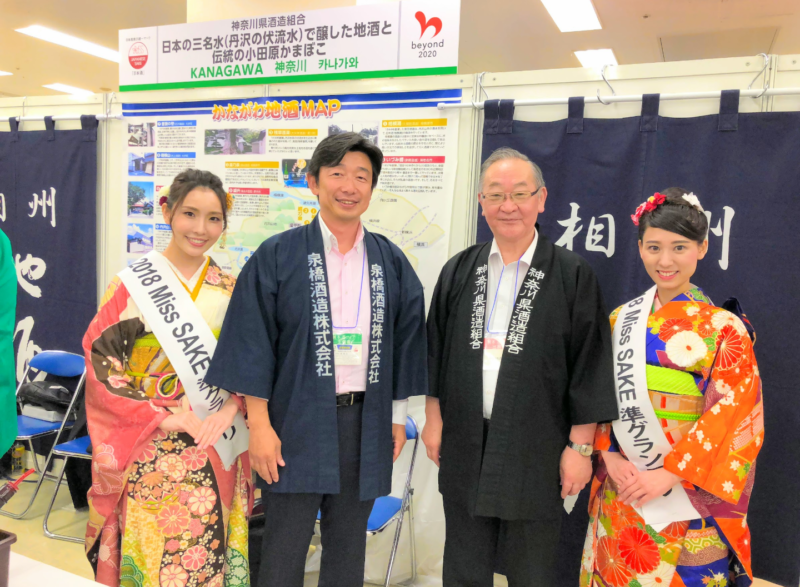 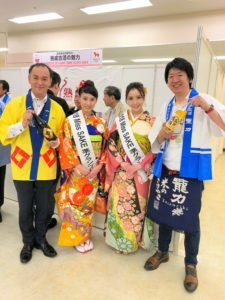 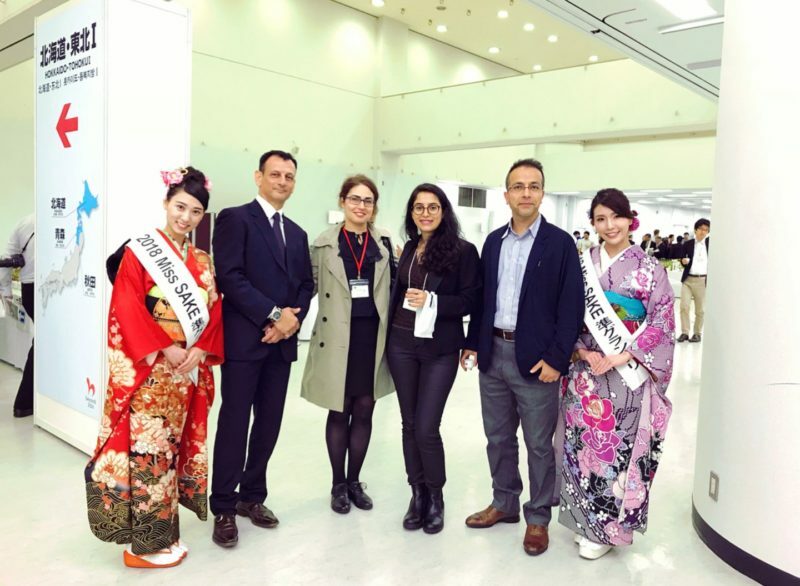 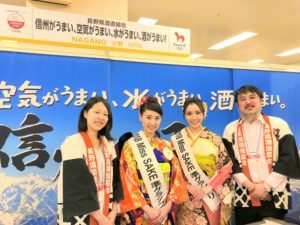 In “The 12th National Sake Fair” where 45 prefectures’ brewery associations presented their local sake, the finalists representing each prefecture (Kiyora Matsuta 2018 Miss Sake Akita , Takeda Sawako 2018 Miss Sake Saitama, Haruna Seko 2018 Miss Sake Mie, Watabane Yume 2017 Miss Sake Kumamoto and Harada Hikari 2018 Miss Sake Kumamoto) greeted and served visitors with hospitality. 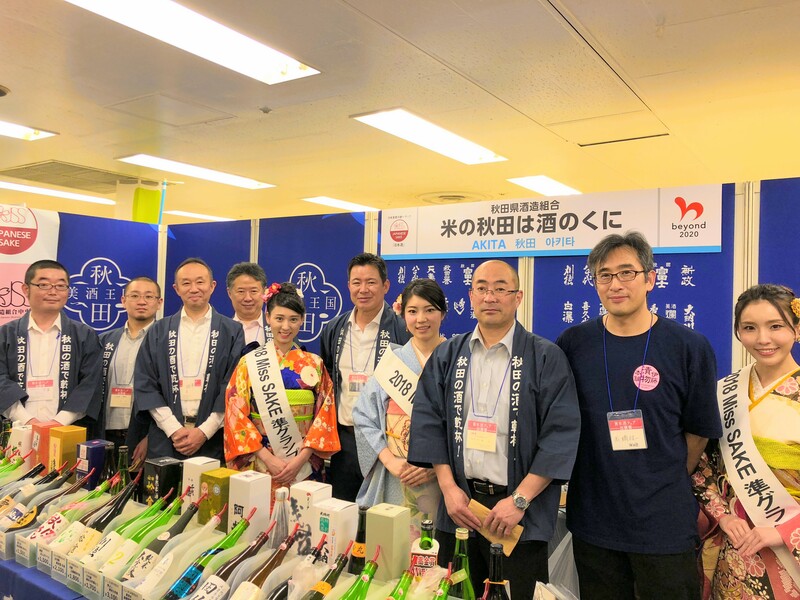 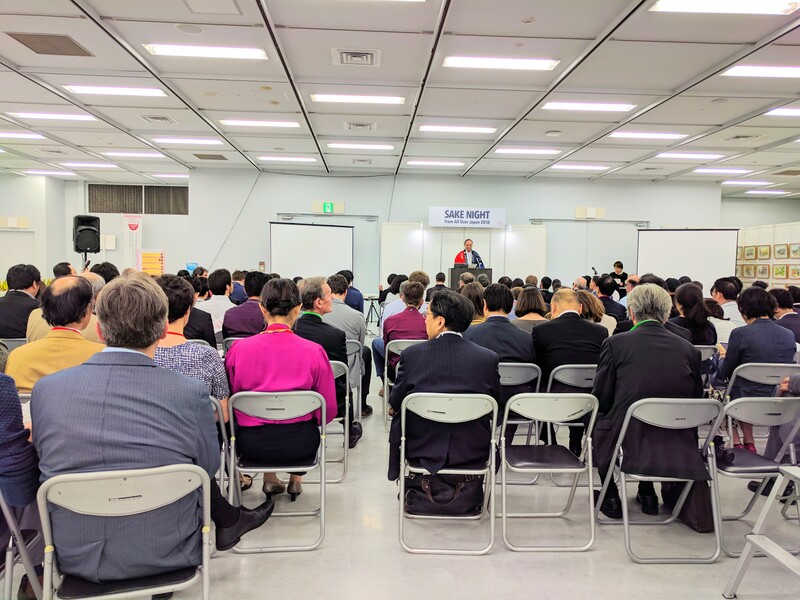 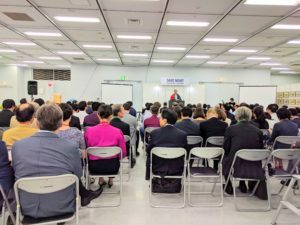 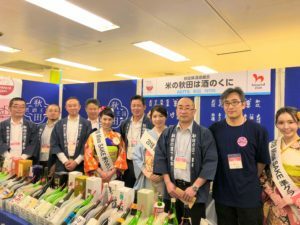 At the same time, “The 106th Annual Japan Sake Awards Public Tasting” was held, and everyone enjoyed tasting about 410 brands of sake that won prizes at the Annual Japan Sake Awards this May. 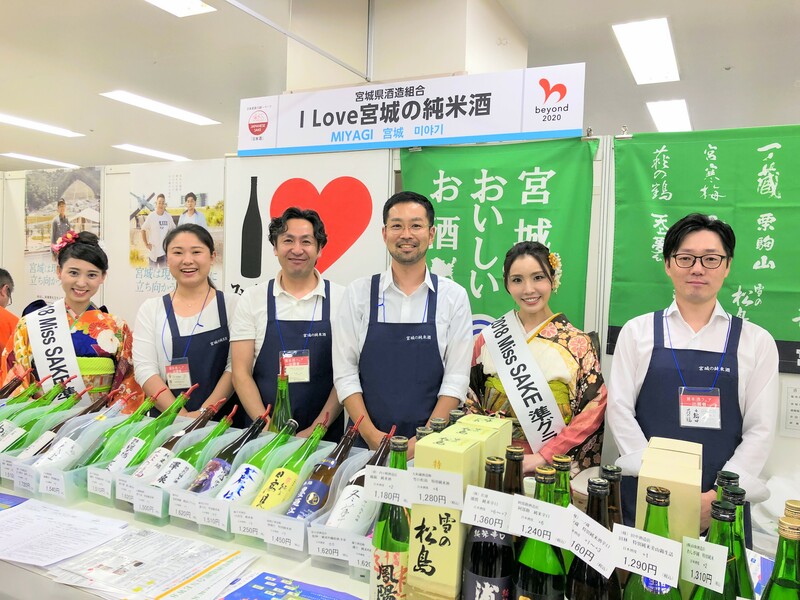 As a pre-event of the “Let’s Raise a Glass to Japanese SAKE ” to be held on October 1st “the day of sake”, we made a toast with Ritsuko Shimada, sake stylist and Mr. Haya, the winner of national sake tasting competition. 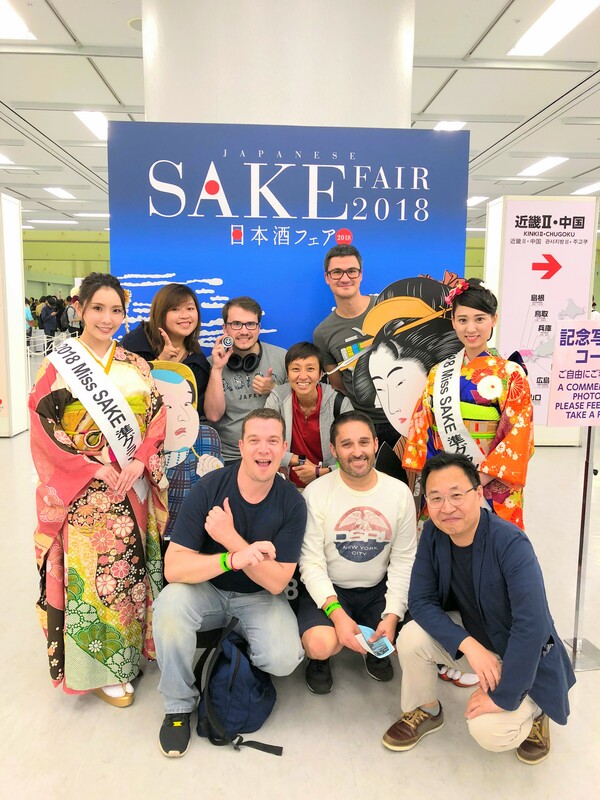 A lot of people gathered on the stage, I felt the joy of being able to connect with many people through sake. 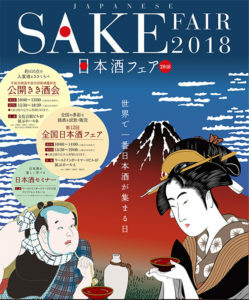 I will do my best to increase the number of sake fans in the world. 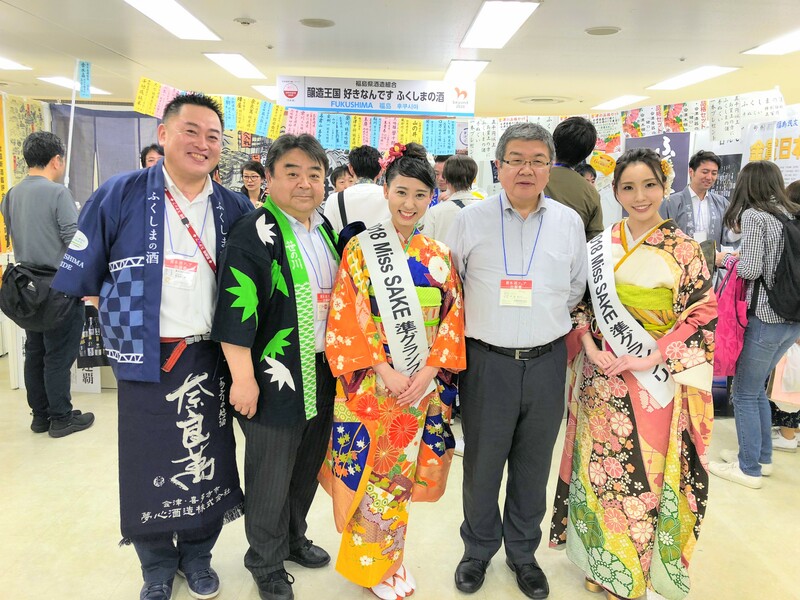 I sincerely appreciate everyone’s support.